Before about 200 My ABB. [ref]After Big Bang[/ref], only simple atoms existed, mostly single protons (hydrogen) and a small number of proton-neutron pairs (helium).They formed clouds of particles which are referred to by the Latin word, nebulae. There are nebulae out there today, but their composition has changed since the first stars started to form. We will see how. After about 200 My, the universe had cooled enough that the gravitational force could finally come into play, so particles of matter were attracted to each other. Dust particles stuck together and formed tiny clumps which in turn adhered to orm larger ones. Thus, a larger clump of gaseous matter was built up. As its density increased, it became warmer. If the mass of such a clump exceeds the so-called Jeans mass[ref]The Jeans mass depends on temperature and density, but is typically many thousands of solar masses. [/ref], the matter composing it becomes so dense that any generated radiation (photons) cannot escape, so the clump becomes opaque. The trapped photons cause the clump to heat even faster. 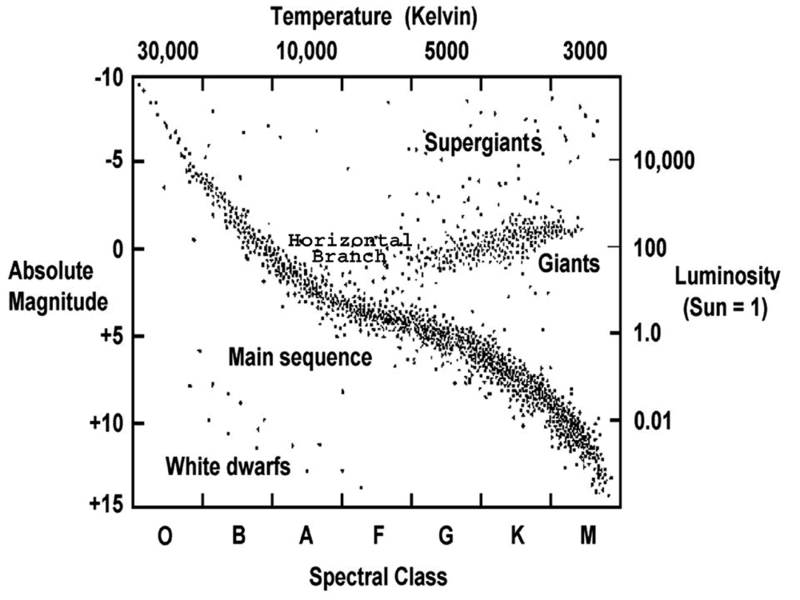 The clump had become a protostar. In larger protostars, when the temperature rises to 107 Kelvin, a series of nuclear fusion reactions referred to as the proton-proton chain uses protons to produce helium. First, the protons fuse together to form deuterium (2H, with one proton and one neutron in its nucleus), then 3He (2 protons and one neutron) and finally 4He (2 protons and two neutrons). [ref]A word on notation. A superscript before an element’s symbol denotes its atomic mass, essentially the total number of neutrons plus protons in the nucleus. 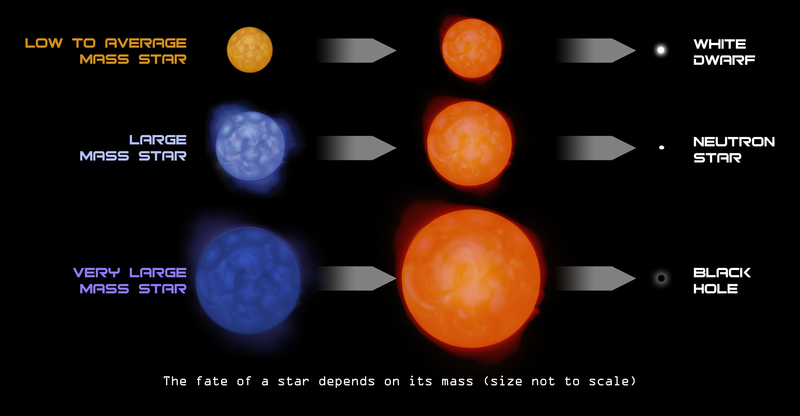 [/ref] When fusion starts to take place, the protostar has becomes a star. This first occurred only when the universe was some 200 million years or more old. 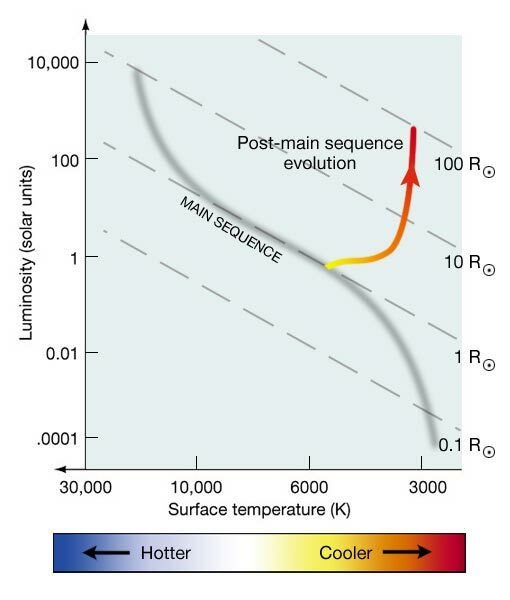 For the Sun, this stage will last less than about 1 billion years, during which it will “burn” 4He into 12C and 16O. A star of about this size will live for a total of around 10 Gy[ref]Most authors would say 10 billion years, but in order to be consistent with later chapters, we will say 10 Gy[/ref]. Since the Sun has already lived for almost 5 Gy (as we shall see in the geology chapter), it has (and we have) about 5 Gy left. After this, the loss of mass to solar wind and the reduced supply of nuclear fuel will lower the star’s pressure to where gravity shrinks it to approximately the size of the Earth. 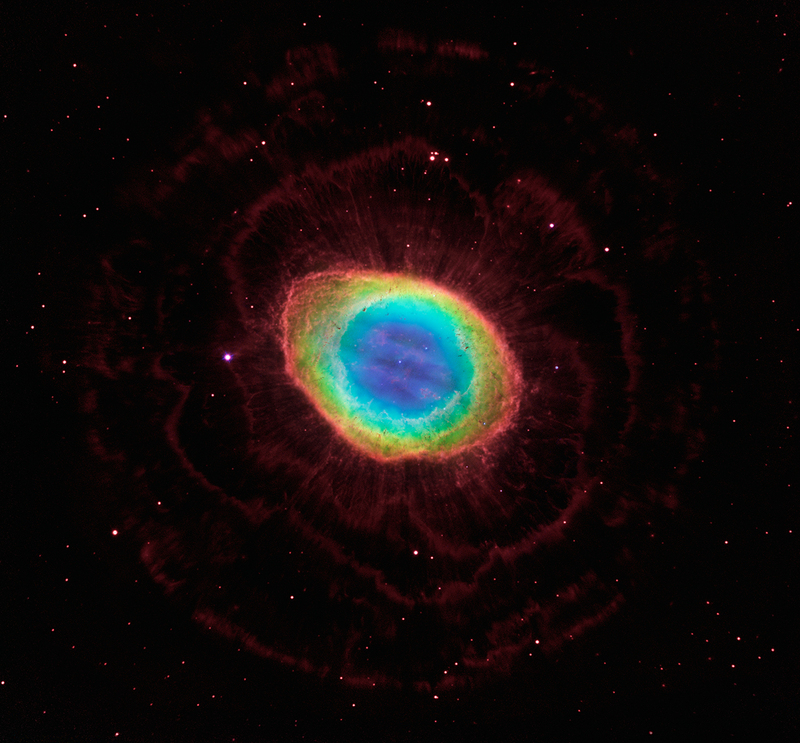 Its outer layers will be cast outwards into an expanding shell of gas and for a while it will be a hot core of carbon surrounded by a planetary nebula (cloud) of ionized gas. [ref]Note that a planetary nebula has nothing to do with planets. [/ref] UV radiation from the cooling core lights up the gaseous nebula. Many – maybe most – stars in the universe are binary, meaning that two relatively nearby stars revolve around the center of gravity of the pair. If one of them is below the Chandrasekhar limit and so becomes a white dwarf, it may pick up matter radiated by its twin. 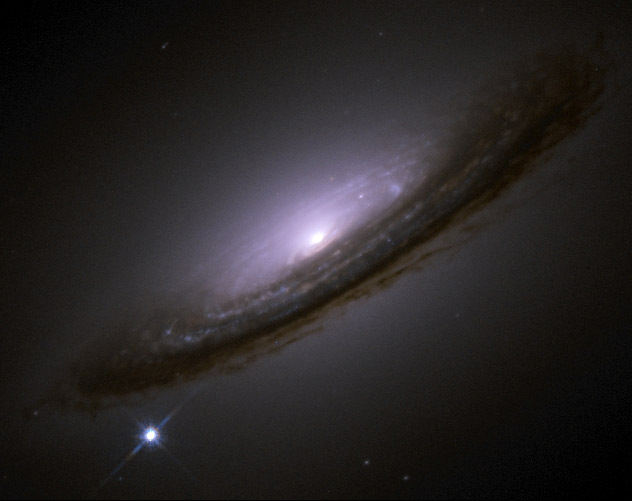 If enough such matter is accreted to its surface, it may become massive enough, compared to the Chandrasekhar limit, that the electron degeneracy[ref]Another name for the Exclusion Principal[/ref] can no longer support it and it explodes into a Type Ia supernova (SNIa). Such objects are extraordinarily bright. [ref]The most recently viewed one in our galaxy was observed in 1572 by the young Danish astronomer Tycho Brahe. [/ref] They are important to cosmologists as they all burn with the same luminosity, making them standard “candles” which can be used to estimate their distance from the Earth (by their apparent brightness) and their speed (from the Doppler shift of their spectra, known as the red shift). In this way, astronomers have measured the speed and distance of galaxies and made an extraordinary discovery: The expansion of space has been accelerating for the last 7 billion years.